​The Citizens have already won the Carabao Cup and the Community Shield, and they remain in pursuit of Premier League, Champions League and FA Cup glory, in what looks to be a hectic climax to the season for Guardiola's men. 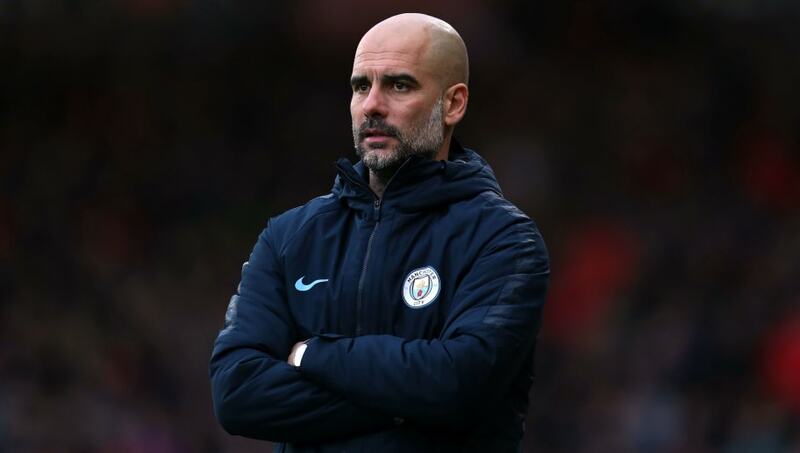 Speaking after the 2-0 win over ​Fulham on Saturday, Guardiola insisted that his players are desperate to achieve history. ​Speaking after his side's win over Fulham, he said: “We are trying to achieve something that is very difficult to achieve. “What’s next is ​Cardiff. Go like a machine to win. I think they are ready. That is the best way in my experience with other clubs when we fight for many titles: don’t think too much. City are locked in a fierce battle for ​Premier League supremacy with ​Liverpool, who currently sit atop the league table with 79 points after 32 matches. Guardiola's side are just two points behind, but they have played one game fewer than their rivals, meaning they remain in control of their league destiny. They have been drawn against ​Tottenham Hotspur in the quarter-finals of the ​Champions League, whilst they face a date with ​Brighton and Hove Albion in the last four of the FA Cup. Guardiola has led both ​Barcelona and ​Bayern Munich to multiple trophies in one season, managing to win the treble with the Blaugrana in the 2014/15 season. The team stormed to success in ​La Liga, the Champions League and the Copa del Rey, and Guardiola will be looking to call on that experience as City near their own unprecedented success.